The town of Dalyan (meaning fishing weir) in the Muğla Province near the Mediterannean sea, is on the Çayı River and near one of Turkey’s largest and deepest lakes, Köycegiz. 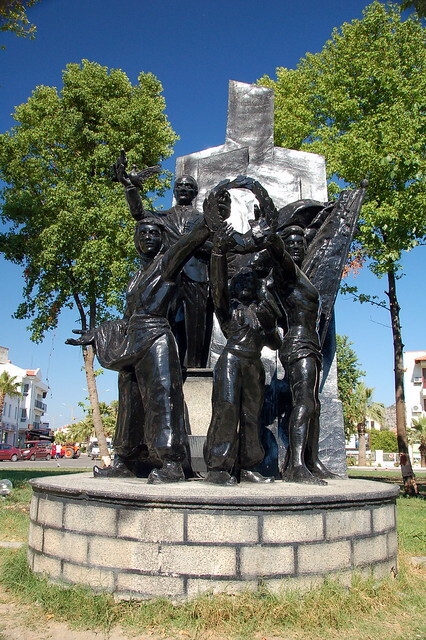 It’s on the south-west coast of Turkey, half way between the famous Fethiye and Marmaris resort towns and a 30 minute drive from Dalaman airport. Enjoy the views above the river’s sheer cliffs, where the weathered façade of the 400BC Lycian tombs was cut into the rock. Take a boat up or down the river and see how the locals navigate the maze of reeds. Mullet, bass and sea bream swim upstream from the sea, are permitted to spawn past the town and are then caught in the “dalyans” on their return journey. The nearby protected Iztuzu beach is one of the few remaining endangered Loggerhead sea turtle egg laying areas. Regular boat and minibus services to Iztazu Beach (1995 best beach in the world) will ferry those interested in sunbathing and swimming, but be aware of the wooden stakes marking turtles’ nesting sites on the beach. 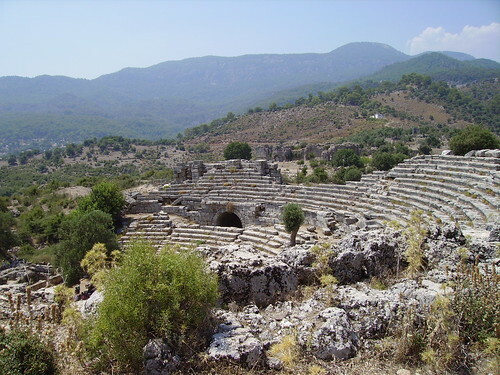 The archaeological site of Kaunos, a short boat trip across the river, features a vast acropolis and a 2000 year old well preserved theatre that’s frequently used for plays and ceremonies today. 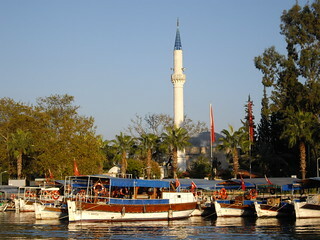 There are excursions to the Sultaniye hot springs, Köyceğiz’s weekly market on Monday, and Ortaca’s on Friday. 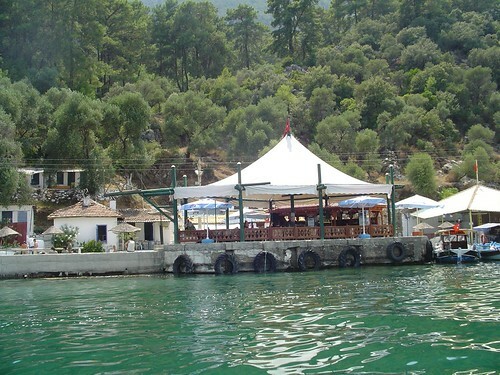 You can also take the minibus heading east to Göcec and board the day excursion boat sailing around the twelve Islands in the bay of Fethiye. Another recommended day trip, particularly in the heat of the summer, is by minibus to mountainous Yuvarlak Çay, a most peaceful location with a soothing stream.